MIT researches have taken technology to advanced level by creating Like-A-Hug, the world’s first social media piece of clothing. 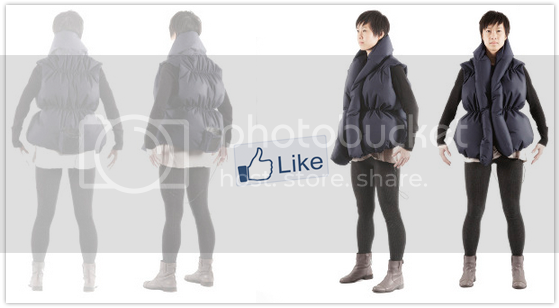 This coat will hug you every time friends like your posts or links or pictures on Facebook. “Like-A-Hug is a wearable social media vest that allows for hugs to be given via Facebook, bringing us closer despite physical distance. The vest inflates when friends ‘Like’ a photo, video, or status update on the wearer’s wall, thereby allowing us to feel the warmth, encouragement, support, or love that we feel when we receive hugs. Hugs can also be sent back to the original sender by squeezing the vest and deflating it,” Mrs. Chow reports.